Many years ago, when Nimue and I started this whole Hopeless, Maine thing, Nimue wrote two books that went along with the timeline of The Gathering. The first of these two books was New England Gothic, which takes place before book one and gives a lot of background on Annamarie and her earlier life (Yes. Those of you who have read Sinners will be having feels at this point) NEG is a bloody wonderful strange tale and we thought we’d bring it and the other prose book out along with the graphic novels, lavishly illustrated, of course. Well, this was before we learned a lot of things about the publishing industry (some of which we would rather not know, but that’s a long story for another time) We do plan to release both of these books in PDF form in the near future on the same Etsy site that the game is on. Then, hopefully, later there will be the fully illustrated print version. 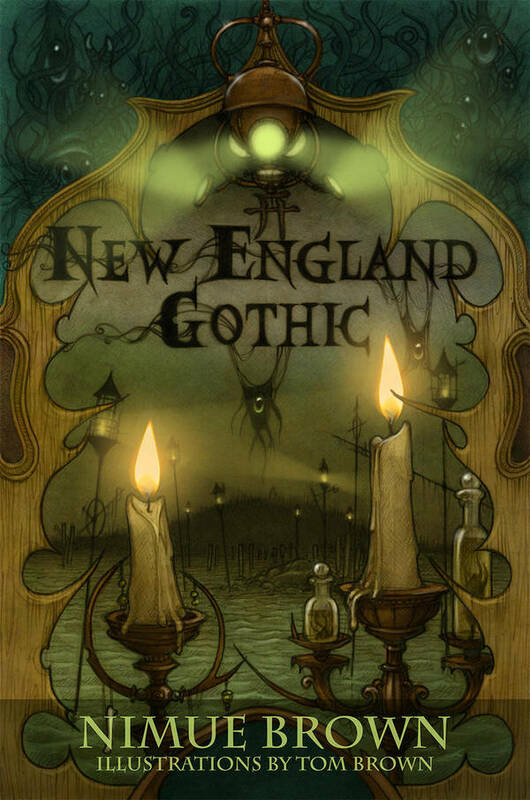 In the meantime, you can get New England Gothic in installments by pledging to Nimue’s Patreon! Hoping, as always, this finds you well, inspired and thriving.